Fiji-born centre Samu Kerevi says he worked extremely hard during rehab this year on his explosiveness and is hoping to put that to good use against Wales this weekend. Michael Cheika has named Kerevi in Australia’s starting 15 at outside-centre for the first time since the third Test in Sydney against Ireland in June. Kerevi took no part in the Rugby Championship due to a biceps injury but managed to heal quicker than expected. He featured off the bench in Yokohama a fortnight ago against the All Blacks and even though the Wallabies fell by 17 points, Kerevi was a bright spark, particularly in attack with a number of impressive line breaks. The Sydney Morning Herald reports, the 25-year-old showed he still has what is required at Test level but the challenge this weekend in Cardiff will be whether he can play 80 minutes. 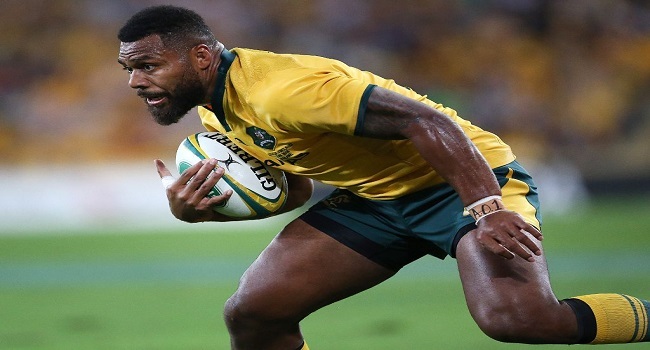 His fellow Fijian, Sefa Naivalu has also been named in the starting line-up for the Wallabies. Meanwhile, New Zealand faces England at 4pm tomorrow and in other test matches, Wales plays Australia at 6.20am while Ireland meets Argentina at 6.30am. You can catch New Zealand-England and Wales-Australia matches on FBC TV and can watch the Ireland-Argentina game on FBC Sports.